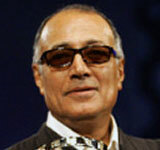 Filmen Hjerteviskelær / Heart Eraser ble utviklet under en workshop med Abbas Kiarostami. The Visit is about the teenager Reza (17), a refugee sitting in church asylum in Norway, who must choose between staying with his older brother (28), or escaping to his freedom alone. Competition selection for Palm Springs International Film Festival 2009.